Perhaps, I will be known as the beauty blogger who will never outgrow her love for drugstore makeup. Kuripot as it may sound, I still can't shell out more than a thousand pesos for one makeup product unless I badly need it (or after much research and . I love anything bargain and I do believe that that there are gems out there waiting on a 50% off rack somewhere. Who is with me on this? Anyways, I fell in love with US Drugstore makeup way back in college. Salamat Maybelline, Revlon at Neutrogena kayo ang salarin ng lahat ng ito, hehe Sadly, not all drugstore products are available here in the Phillipines but thanks to online shops, US or UK products are now available to Filipina Beauty Aficionados. The newest online that caters to mostly drugstore products is Stellamela ( a round of applause for that!!). So, what does Stellamela offers? And especially if they don’t break the bank, we at Stellamela believe that cosmetics are the best remedy to the humdrum of everyday life. They color your days magenta, plum, cerise and azure, and they’re tools to celebrate the joy of everyday beauty. We showcase great U.S. drugstore beauty picks for all the lovely Filipino makeup addicts out there who are honing their colorful craft every day. These are beauty brands that we love, at prices that will make YOU fall in love: with shiny lip glosses, pigmented eyeshadows, hued blushes and much more. We’re excited for all the colorful, beautiful, Stellamela seasons ahead of you! Stellamela—your beauty remedy. I got three products from Stellamela: Styli Style Bronze Tinted Blotting Papers, Rimmel Eyeshadow Squad and Milani Glitzy Glamour Gloss in Put on the Glitz. I was really intrigued with this tinted blotting paper. I can still remember the video when Michelle Phan introduced a blush tinted paper and I was really looking forward to trying one for myself. I was instantly drawn to this bronzing paper. It was one of the first product I immediately tried. I did not expect something spectacular out of a carton box and flimsy plastic packaging. The swatch literally blew my mind. The shade is a very beautiful golden champagne color. I really want to try highlighters more but because my skin is prone to rashes, I have to veer away from them. There are those days when my skin is rash free and watching Nikkietutorials and Jaclyn Hill sweep that Becca Shimmering Perfector/Highlighter on their cheeks makes me want to waste money on a high end highlighter. Buti na lang kuripot talaga ako. 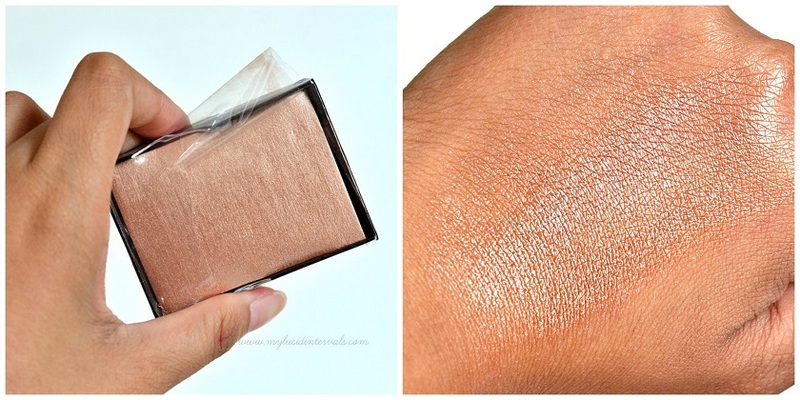 hehe This bronzer is very affordable alternative to high end ones especially if you do not wear highlighter often (just like me). I also love the Milani Glitzy Glam in Put on The Glitz which is a very smooth and lightweight gloss. It is not tacky and the color is divine. It goes on like a frosted peachy pink gloss which gives off a beautiful shine one the lips. I love layering it on most of my matte lipsticks to give my lips that extra shine. Stellamela will be holing a Pre-Order Party of (POP) from March 16 to 22 on brands like Colourpop (WAAAHHH!! ), Milani, Hardcandy and BH Cosmetics. I hope they will also do preorders on MorpheBrushes! I seriously want that Jaclyn Hill Palette. Also, they will be having a huge summer sale on March 13-15, they will be having a 40% off on everything in their site. 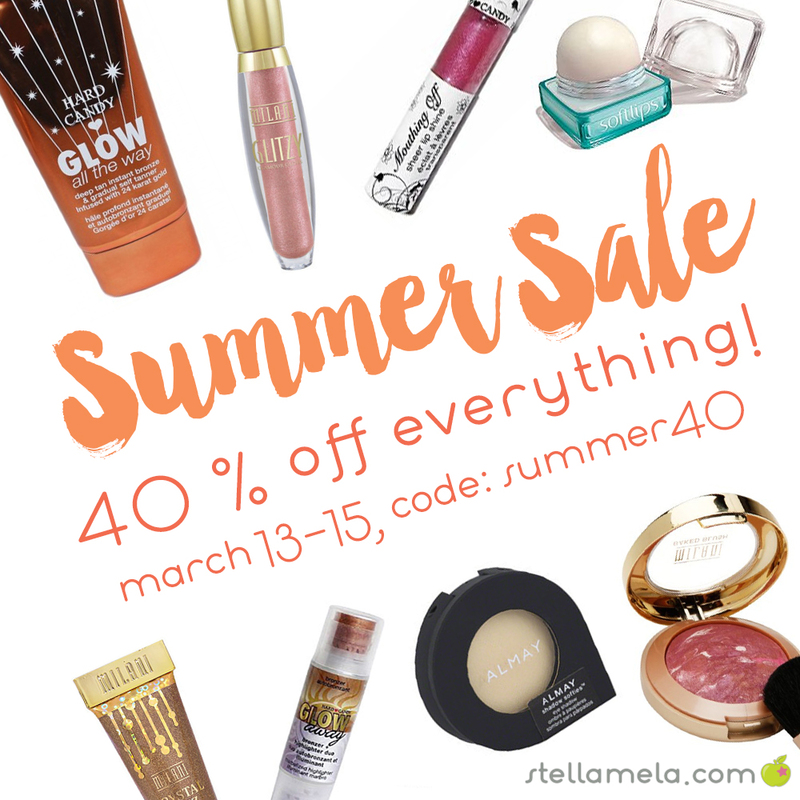 Use the code "summer40" to avail of this promo! Umiiyak nanaman wallet ko sa corner. Alam niyang magiging empty nanaman siya soon! Haha. Thank you for sharing this, definitely checking it out for myself too! Wah ang ganda ng highlighting paper!